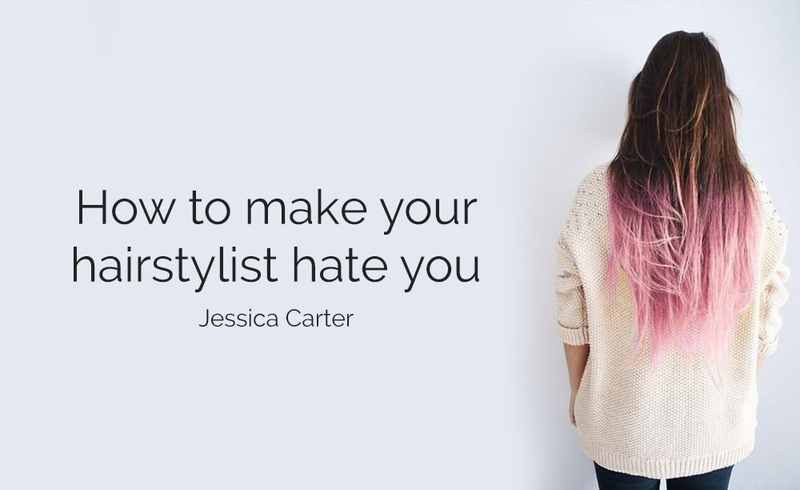 Learn what habits make your hairstylist go nuts! The best way to make your hairstylist hate you is to ignore professional opinion. According to experts at Salon East NYC, it’s very insulting when clients are totally indifferent to your advice. This attitude very often leads to disappointment when expectations are different from the reality. Listen to your hairstylist because his or her experience and professionalism will only benefit you! Let’s make it clear – it’s great if you keep a light casual conversation instead of being completely silent. Nevertheless, communication shouldn’t turn into the monolog dedicated to your private life. Try to find a harmony between embarrassing silence and excessive talking! If you come to Salon East NYC, there are specific rules of etiquette you have to follow and respect. Firstly, stick to the time of your appointment and avoid last-minute alterations of the schedule. Secondly, make sure to leave tips! This is a part of someone’s income and a good way to express your gratitude. Hairstylist is happy if the client is happy, so honest feedback is of great importance. If you feel like the result is different from your expectations, tell your hairstylist about it, so she can figure out how to improve everything. Feel free to stop the process at any stage to prevent the catastrophe from happening! Visit us http://hairsalonprestige.com/ and forget about problems with hair.